Were you born to be wild? If so, why not book yourself a Harley Davidson ride!! Harley rides are fun and you'll get to experience the thrill of acceleration and the roar of a Harley Davidson engine up close and personal. A Harley Ride on the Gold Coast or in Sydney is equally as thrilling. Harley Rides in Brisbane, Melbourne, Adelaide, Perth, Hobart and Darwin are all unforgettable. A Harley ride is one of the most exciting things you'll ever do. Motorcycle rides are fun and gives you the opportunity to feel the grunt of a Harley Davidson while exploring some of the best landscapes in Australia. The ultimate riding experience, from the sand to the hinterland, treat yourself to a genuine Harley Davidson experience on the Gold Coast. This is the best way to experience panoramic views of the Gold Coast. Spend 3 nights at the wondrous Ayers Rock resort! What could be better than watching the sun set over one of Australia's most spectacular landmarks? Explore the land and Uluru in the day, then discover the night sky of an evening with a resident astronomer. Live the dream in Australia's red centre! Escape to Ayers Rock and explore Australia's most amazing location! All meals are included on this fantastic adventure, so wake to an outback sunrise, put all your worries aside and journey around Uluru. Including night activities, pools and more, this unique experience will stay with you for life! Roar up Adelaide Foothills winding roads to Mt. Lofty Summit,through famous and historic townships such as Stirling, Aldgate, Bridgewater, Hanhndorf and into southern country. Arriving at Strathalbyn we'll stop at a popular Motorcycle Cafe', then blast down the freeway through the Heysen tunnels. Enjoy a leisure look around Brisbane while indulging in a Beer or two at some of Brisbane's most famous Hotel. This tour is a 3 hour Brisbane Pub crawl on one of our Custom Harley or Chopper Trikes for Two passengers. One of the hotels that we can visit still uses wooden kegs. Be a passenger on a legendary Harley Davidson to see an unforgettable sunrise over Uluru. It's an early start, but definitely worth it! Roar through the outback, your driver will take you to a location that captures it all - the spectacular Ayers Rock/Uluru splashed with a magnificent sunrise. Sip on Champagne as you watch the sun set behind Ayers Rock on a Harley Davidson, it doesn't get any better than this. Tour the Barossa on a trike! Take in Australia's famous wine region for 90 minutes. Your trike tour will take you and a friend through the heart of the Barossa Valley, past towns, wineries and historic landmarks. This is the ultimate open-air Barossa adventure! See the Barossa Valley from a sweet trike! This tour for two takes you all over the countryside - literally! Smell the smells, see the sights, taste the wines, and sample the fare at Maggie Beer's famous Farm Shop. Australia's finest produce and great scenery make this a cruise you'll never forget! A completely custom made Barossa food and wine experience giving you a unique blend of adventure, history and culture on a stunning trike. This is arguably the best way to spend 60 minutes in Sydney. Take to the road on the back of an awesome Harley-Davidson® motorbike as you rule the road from the city to the beach. This tour shows off Sydney Harbour , Woolloomooloo to Watsons Bay plus the brilliant Bondi Beach. Take a Harley Ride through NSW' gorgeous Blue Mountains! Enjoy an hour-long exhilarating ride through the Lower Blue Mountains on the back of a thundering, rumbling Harley Davidson! Your friendly hosts will take you up through Springwood and to the Hawkesbury Heights lookout - any day of the year! This Harley ride is perfect for those who have seen the Sydney sights and would just like to have a rumble out to the famous Bondi Beach and back. By Harley you can spot a whale and see dolphins in the natural scenic coastline. On arrival, you will enjoy a delicious lunch at a local cafe. Travel back through banana plantations, and sugar cane fields. Byron Bay on a Harley Davidson Trike. Travel in style from Surfers Paradise to Byron Bay, the most easterly point in Australia. Hear the rumble of the trike while taking in the spectacular coastline. Enjoy lunch at Byron Bay. See the city sights and magnificent views by night. Travel through the Harbour Tunnel to Luna Park and Kirribilli House then back over the Harbour Bridge, through Kings Cross with a visit to the famous Harry's Café de Wheels. This is arguably the best way to spend 90 minutes in Sydney. Take to the road on the back of an awesome Harley-Davidson®; motorbike and watch the city disappear as you head for the straight to the surf. The Corporate Convoy sees your group met by a fleet of Harley Davidsons, Stretch Hummers, and a Special Forces-style fast boat for an Adrenalin-pumping journey to one of Sydneys hottest venues! Take an exciting leisurely cruise along the Gold Coast Beaches on an Harley Trike or one of our Chopper Trikes. This is the best way to explore the Gold Coast. Join this Harley Davidson tour and thunder along Melbournes Monash Freeway, then on through the majestic surrounds of the Dandenong Ranges National Park. What's the BEST way to cool off on a hot, summers night? Enjoy an awesome motorbike ride along the Coast or up the Range on an eye-catching custom built Harley Davidson® Trike. Feel the wind through your hair as you ride on a balmy Queensland evening! Quick, short and exhilarating. Expert riders show you the wonders of one of the world's greatest natural attractions - Ayers Rock - on your own personally guided Harley-Davidson Motorcycle tour. 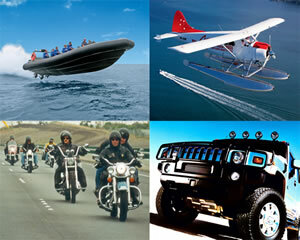 Travel in unique style from Surfers Paradise on the back of a Harley Davidson Trike or bike. This tour takes you north on the scenic Broadwater along the world famous beaches with views of the broadwater then off to the Hinterland. So you want to see Adelaide? What's the best way? Jump on the back of a Harley Davidson and go on a motorcycle tour around the city of Adelaide. Experience the thrill of being out in the elements on the back of a Harley Davidson motorcycle and you'll be screaming for more! Wave goodbye to your friends from the back of a Harley Davidson as you embark on a two-hour motorcycle tour around Adelaide. A motorcycle tour is a fantastic way to get to see the city so treat yourself to the unforgettable experience of exploring Adelaide from the back of a roaring Harley Davidson! This is arguably the best way to spend 60 minutes in Sydney. Take to the road on the back of an awesome Harley-Davidson Trike as you rule the road from the city to the beach. Combine your love of food and motorcycles in this Harley Davidson® champagne breakfast tour of the Gold Coast! Indulge in a motorbike ride around Surfers Paradise and the surrounding hinterland before stopping for a delicious breakfast! Cruise the beautiful Gold Coast & Hinterland area on the back of a Harley Davidson® motorcycle as you take in the 180 degree views from the closest look out to Surfers Paradise. If you've ever wanted the wind to rush through your hair, then this 1 hour motorbike cruise is spectacular! This is arguably the best way to spend 60 minutes in Sydney. Take to the road on the back of an awesome Harley-Davidson motorbike as you rule the road from the city to the beach. Be the envy of your friends when you are collected for an awesome 1 hour ride on a gleaming Harley-Davidson ®. You choose where to go for the ride, winding your way along our beautiful coastline or through the hinterland's twisting roads. Or just let our rider take you on a surprise journey. 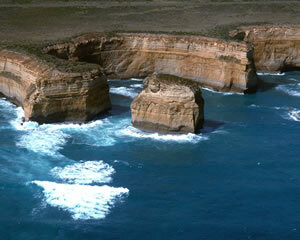 See two of Sydney's principal scenic attractions on the back of a Harley Davidson® motorcycle. Cruise over the Sydney Harbour Bridge while taking in the breathtaking views of Sydney Harbour and the spectacular Opera House and all from the back of a Harley! Enjoy the awesome thrill of seeing one of Australia's best known landmarks; Ayers Rock as a passenger on a Harley Davidson motorcycle. Hop onboard and travel around the perimeter of the 'big rock' for the ultimate in motorbike tours around this icon of central Australia! Take in the sights of Surfers Paradise and its stunning Hinterland region on the back of a Harley Davidson motorbike. Enjoy the winding roads and the breathtaking sights of Mount Tamborine, whilst discovering the beauty of the Gold Coast and its surrounding regions from a different perspective! This is arguably the best way to spend 90 minutes in Sydney. Take to the road on the back of an awesome Harley-Davidson motorbike and watch the city disappear as you head straight to the surf.